Bangladesh Public Service Commission or BPSC is monitoring the whole exam procedure. BCS preli question are actually based on MCQ. So all the student who attend the BCS preli exam have needed vast knowledge about MCQ question pattern. Total marks of BCS Preli exam is 200. Marks distribution is as follows: Bangle Language and Literature 35, English Language and Literature 35, Bangladesh Affairs 30, International Affairs 30. 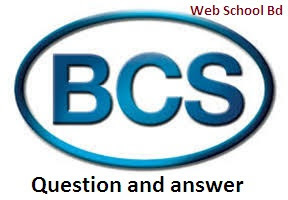 Here we give 10th to 35th BCS preli question step by step.